What do you do in the morning when the kids first come in? More copies to waste and papers to grade. But, I need a little time in the morning to take attendance, check binders, and whatnot. The kids NEED something ready to go when they walk in the door while you take care of the little things. Thus, I created Morning Buckets. I am seriously in LOVE with Morning Work Buckets. I started out with 5 buckets. 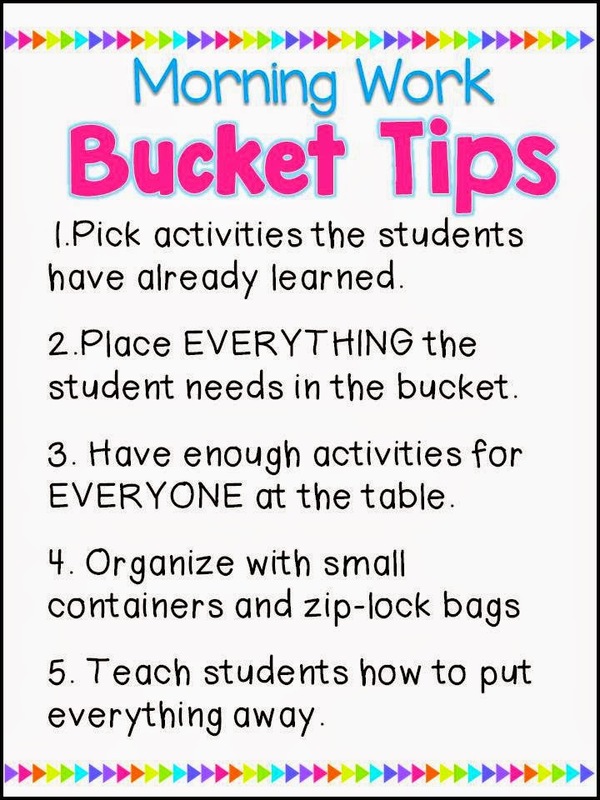 I put EVERYTHING the students need in the bucket and then place one bucket on each table. Kids come in and stay engaged with hands on activities. I have 4 students at each table so each bucket has 5 large zip-lock bags. Each child takes a bag and gets to work. The extra bag is for the student who finishes before everyone else and needs a new activity. 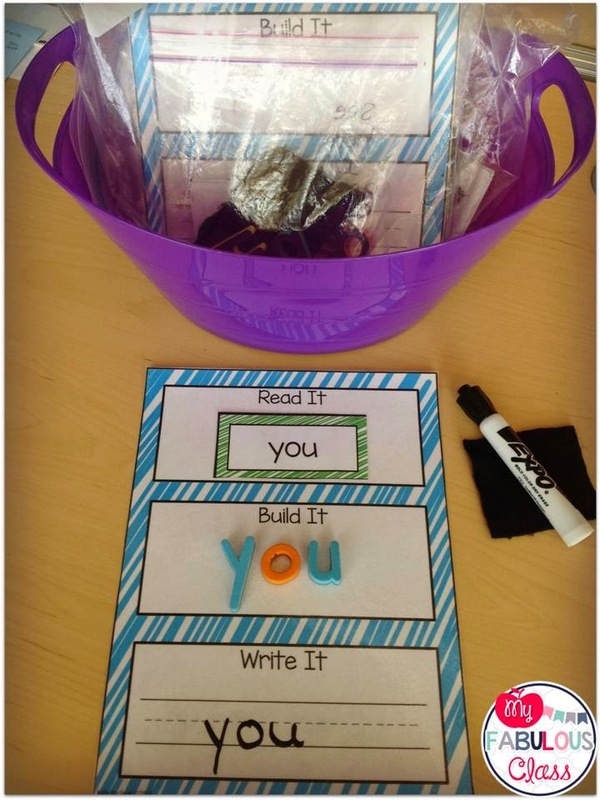 This activity is my Read It, Write It, Build It pack. The are 92 sight word cards so it grows with students. 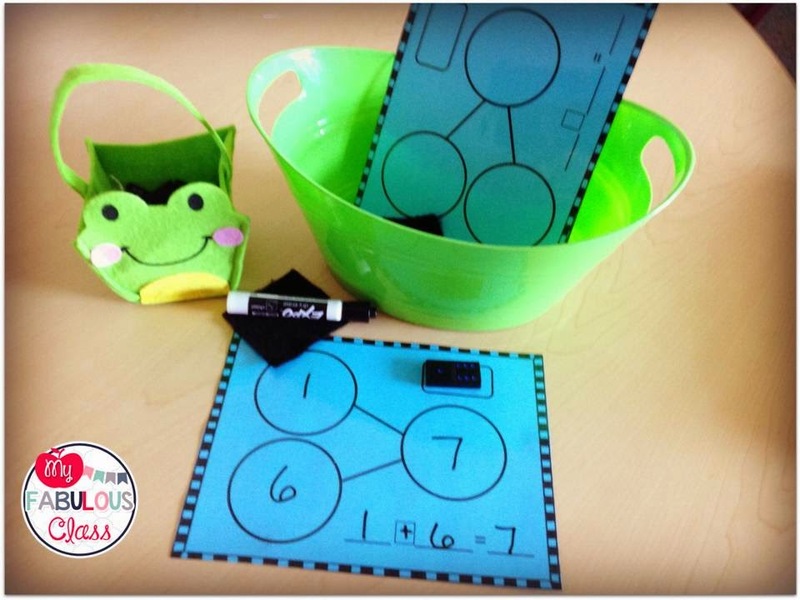 Of course, you want to make sure the students CAN independently complete the Work Bucket or assign them a buddy. 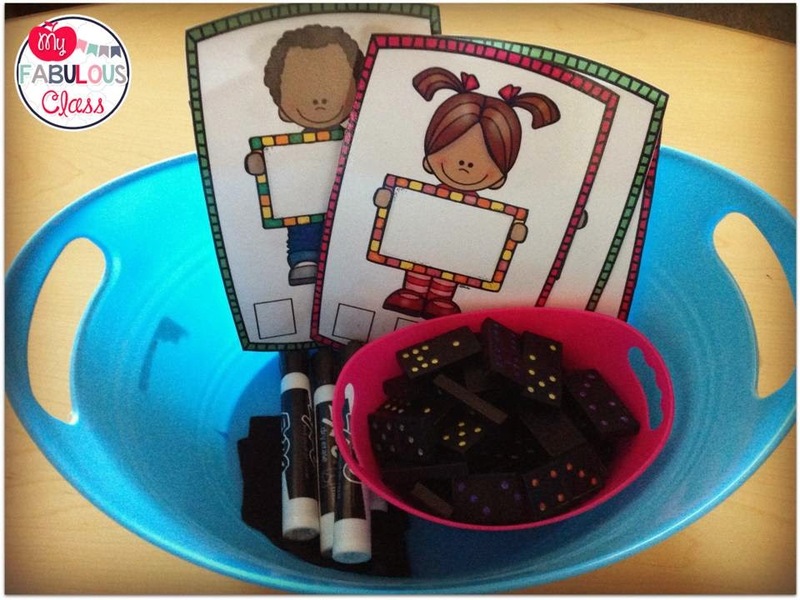 I use activities that I have already taught during Guided Reading or Math Centers. 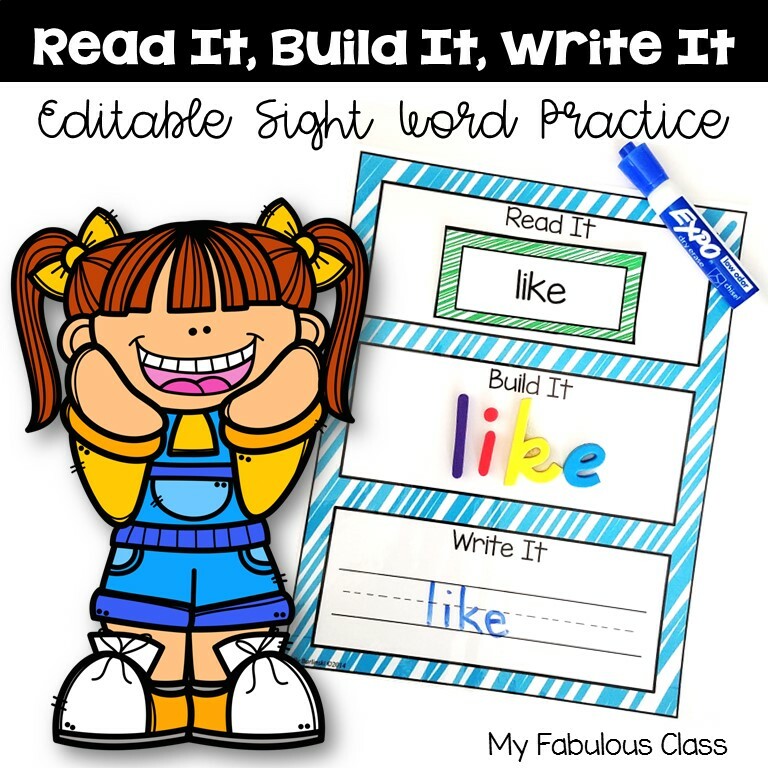 The CVC Write and Check is a Class FAVORITE. I need to make some CVCe cards next. 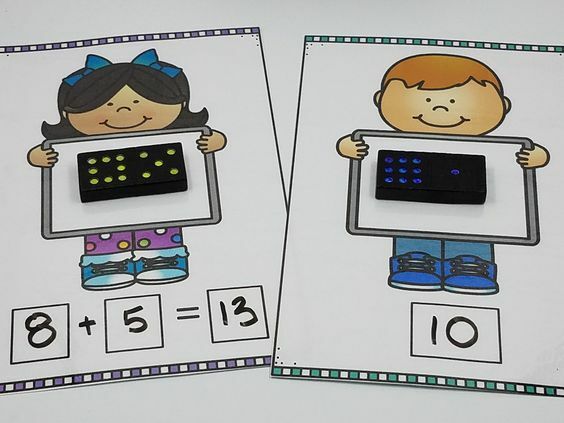 Both of these activities come from my CVC Word Work Bundle. I like to use year round centers rather than seasonal so I do not have to change them as often. 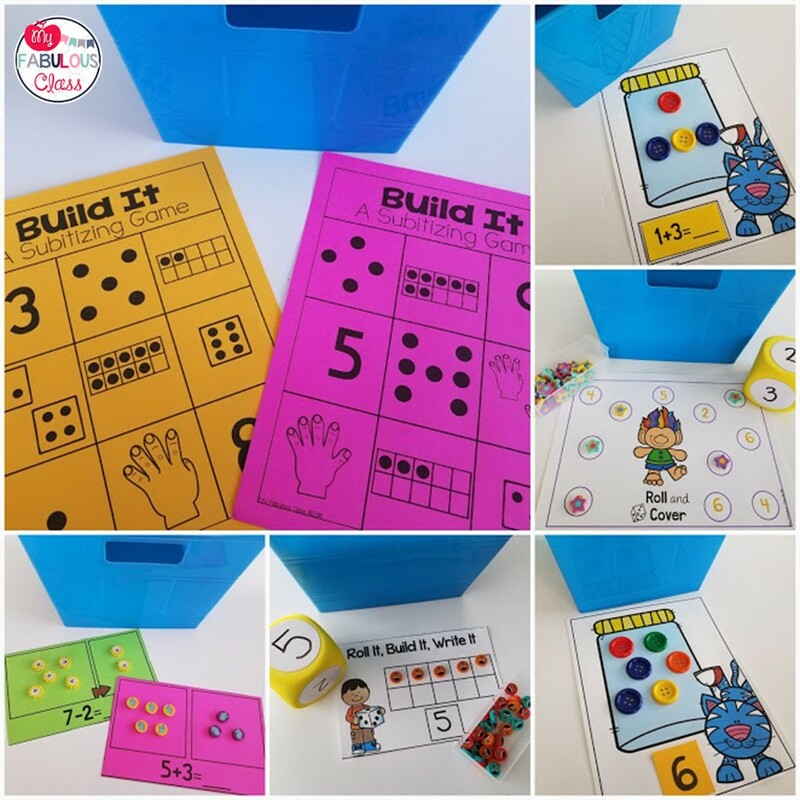 Do you own my Year Round Domino Centers? The Number Bond Activity is a NEW ADDITION. My kids were really struggling with number bonds this year. If you already own it, but sure you re-download it to get this game. If you have grabbed, check it out HERE. 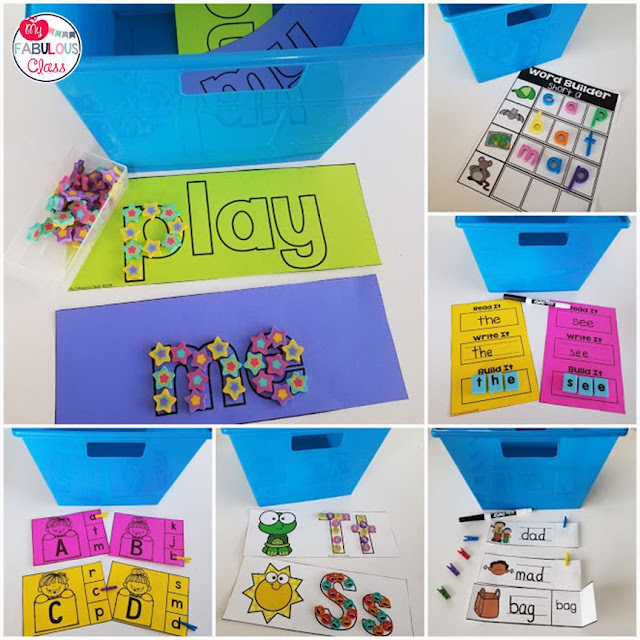 It includes 5 centers and 26 printables. Sometimes, it is NOT practical to print out 4 copies of a center. This one bucket has 4 different activities in it. 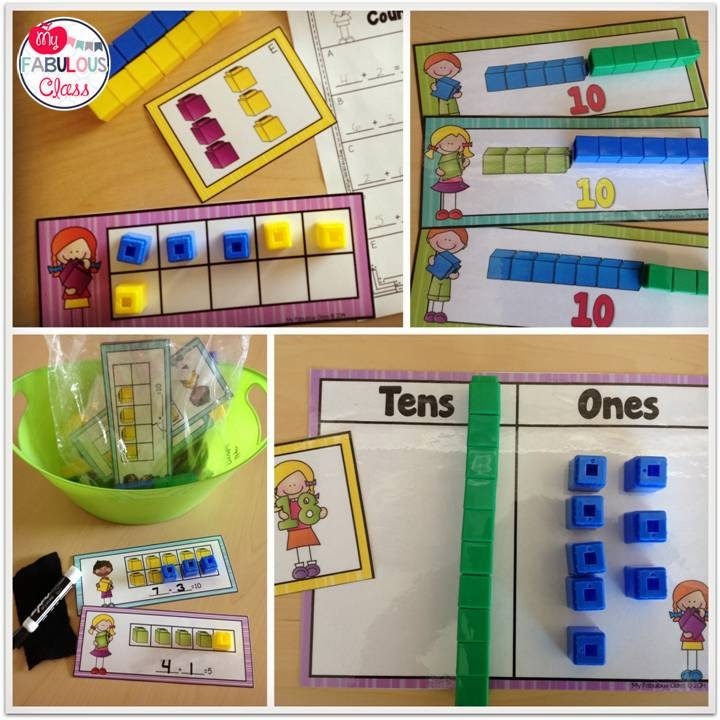 All of the activities are from my Snap Cube Math Centers. It is ESSENTIAL that you teach students HOW to put everything away. Even though they each have their own bag, they never seem to put everything away. Once every week or two, we have organizing parties and make sure everything is put away. Of course, I have a few FREE ideas for you to get started. 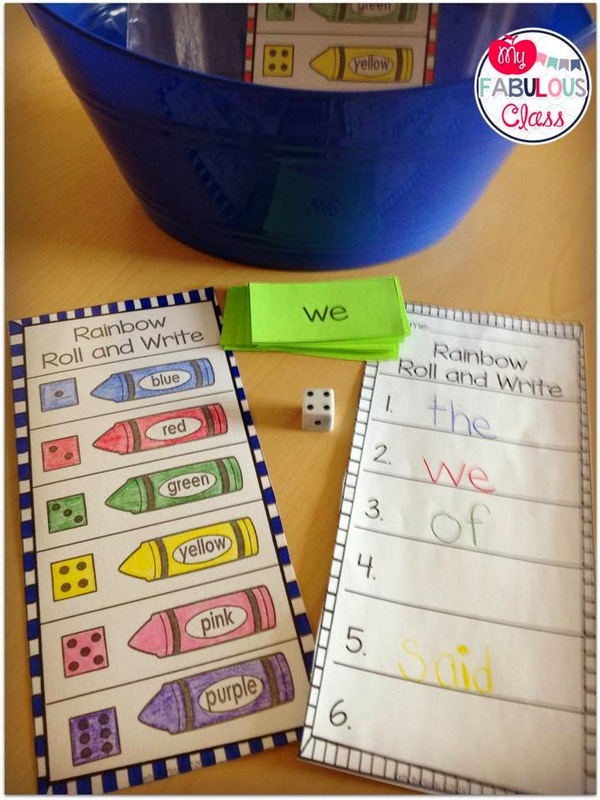 I shared the Roll and Sight Word FREEBIE a few months ago. If you missed it, you can find it HERE. I told you we have been working hard on our number bonds. I LOVE this Pom-Pom number bond. You can get it FREE from my Friend Lindsay at Keeping it Cool at School. If you go to her blog, you can see step by step how this game works. EVERYTHING in this unit would be perfect for a Morning Work Bucket. You can find the entire unit in her store HERE. I just wanted to sum up everything. It does take some time to organize the buckets, but it is worth it. I have 10 bags now, which means students will only do each bucket once every two weeks. I will try to create a few more over the next few weeks. Once the bags are created, they are ready for the year. 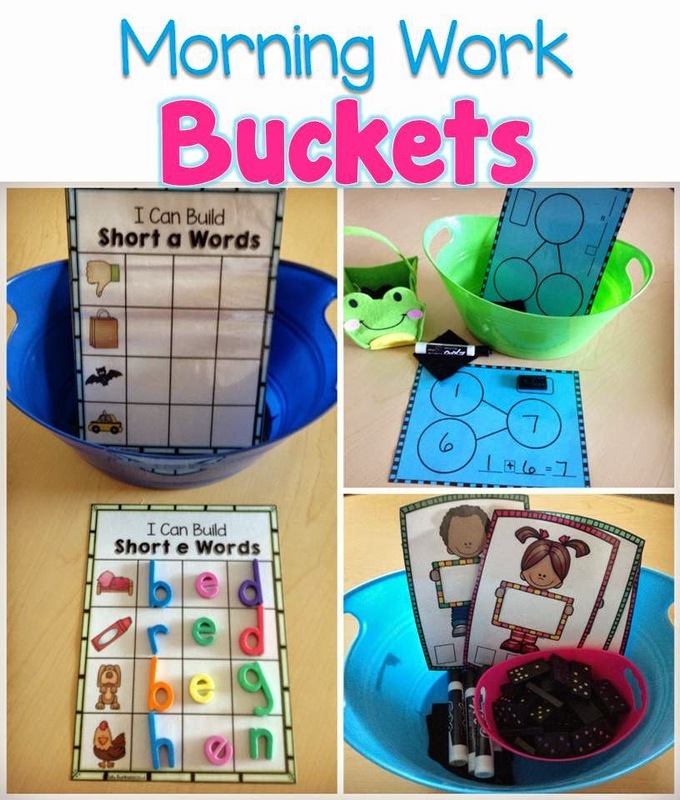 Morning buckets are fabulous because your students are doing meaningful, hands on activities. I do have a Morning Work Packet from an amazing Teacher Pay Teachers seller. I send it home for weekly homework. Check out my Kindergarten Morning Work Bundle for the year. 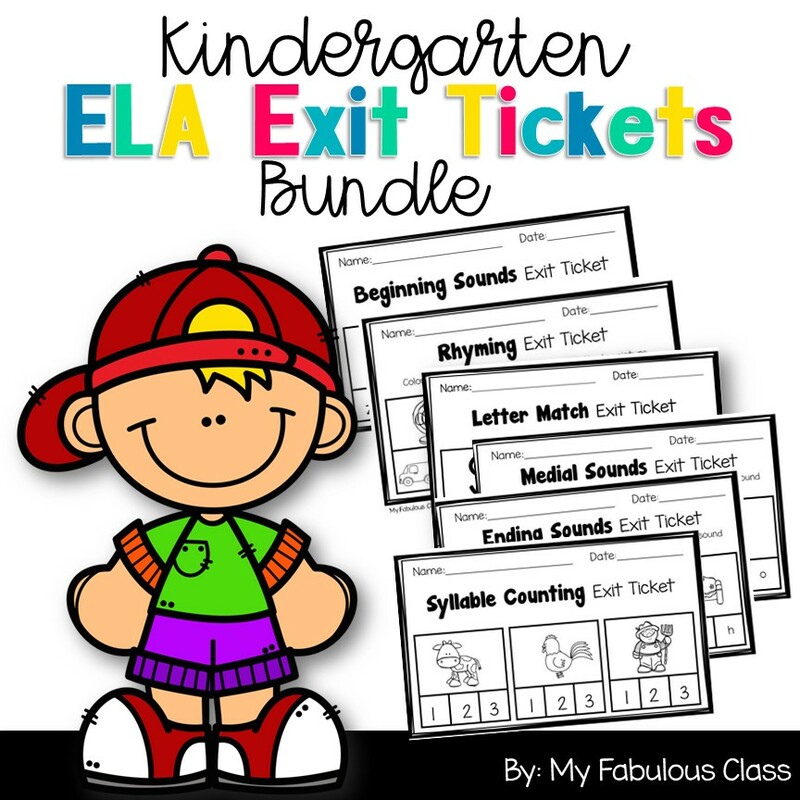 It is a growing bundle full of hands on activities to last you all year. I also have First Grade Morning Work Bucket Available. 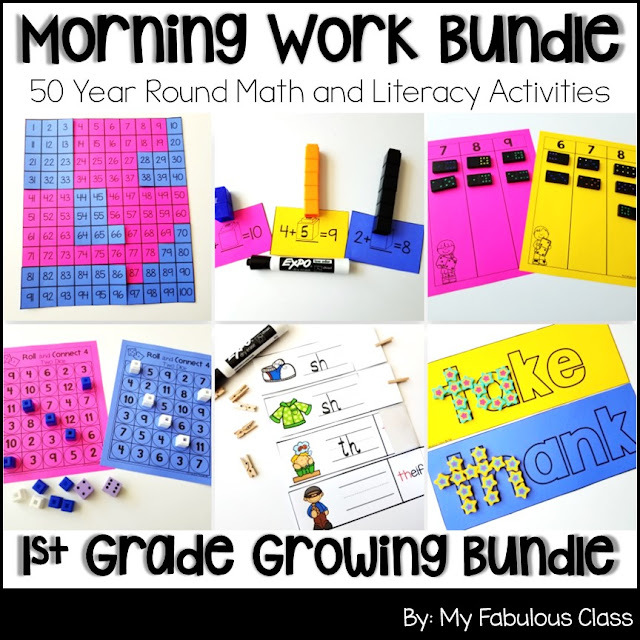 This will Growing Bundle will have More than 50 activities when it is complete! Awesome, I totally need to try morning work buckets! Thank you for the shout out :) I love your blog! 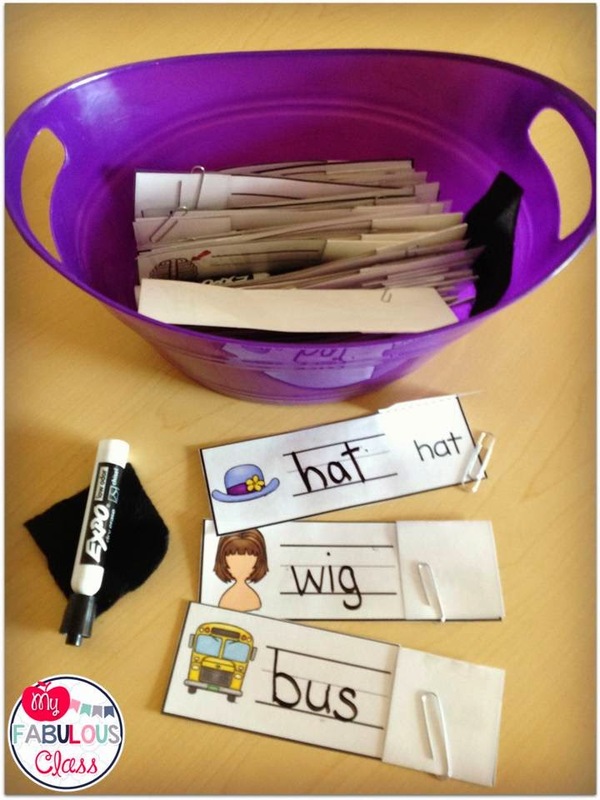 Hi, at the top of this blog post you have a picture of an activity that helps students build cvc words. I can't seem to find it in your store. Can you point me in the right direction? I love this idea! Where can I get the Number Bond Activity? Is it the Number Bond Stars pack on TPT? Such a great idea! I always do morning work but secretly dread grading it. This totally gives them something to do and get started right away but cuts down on the paperwork. I bet they'll even like it better! Love this idea and want to try it this year. 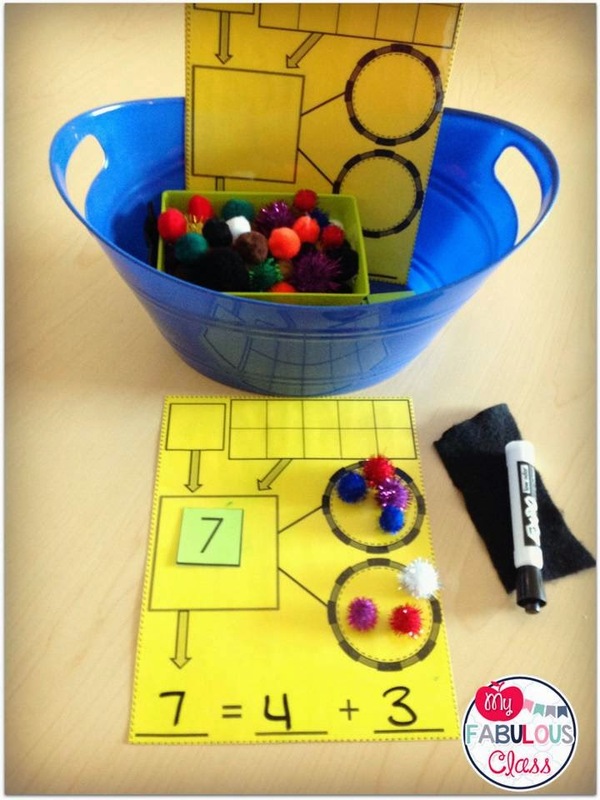 Can you suggest what activities to use for the beginning of kinder? Would like to purchase the materials and get them set up. I was wondering the same thing! 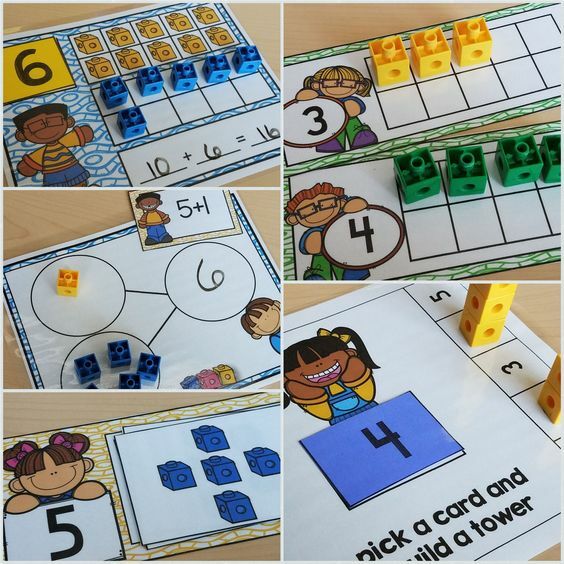 I would love to find a bundle of these activities! Hello! This is a wonderful idea! Do you have suggestions on how to implement this at the beginning of the year? What kinds of activities would you suggest? Thank you!